With the recent launch and success of our “Translating Squarespace with Bablic” tutorial, we figured it’s only fair to provide some Squarespace design inspiration to our loyal readers. A little about Squarespace first for those who don’t know! Squarespace is a web based service that allows you to “easily” create a beautiful website, blog, portfolio and/or even a full-out e-commerce store. It is quickly becoming a leader in the industry and competing with the likes of WordPress, Wix and others thanks to its user-friendly and intuitive platform which lets you create beautiful Squarespace websites, all at an affordable cost. It seems they are also trying to get deeper into the e-commerce space with their latest update which lets you import all of your products directly from Shopify or Big Cartel. Drag and drop abilities, in-page editing, analytics, templates, modules, apps, custom domains, gmail integration – pretty much everything an online publisher can ever ask for. They also proudly stand behind their product, Squarespace.com’s front-end is actually made with with Squarespace. Squarespace’s websites are now all responsive so you won’t have to worry about building for different devices and screen sizes, just focus on creating a beautiful site. Check out the Squarespace examples below, also known as the most beautiful Squarespace websites – keep in mind, they are in no particular order. 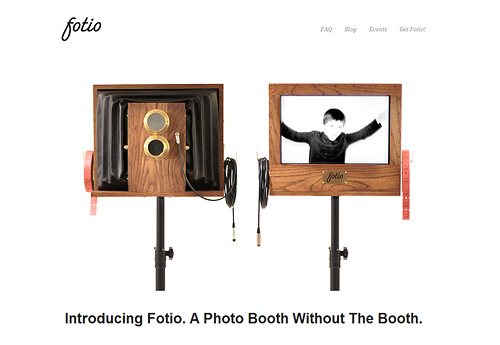 KISS (Keep it simple stupid) is the idea behind Fotio simply yet beautiful Squarespace website. The website white, clean and puts its product in focus. It may seem bare but sometimes that’s just the look you’re going for and these guys nailed it. The large background, stylish typography, professional images and Cornell Crème color palette makes it hard to imagine this website is running on Squarespace but it sure is! 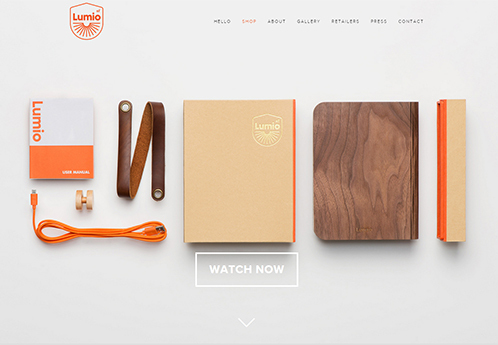 Lumio showcases how even e-commerce websites can look beautiful and run properly on Squarespace. Check out both their homepage and the shop page to really get inspired if you’re planning on launching a simple e-commerce website. 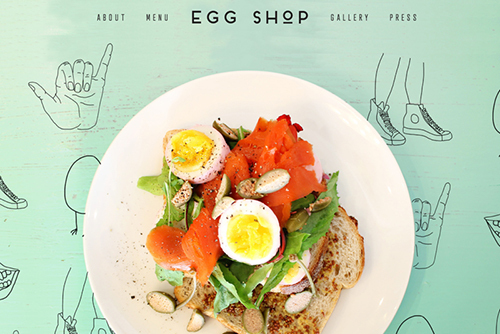 Egg Shop used Squarespace to build a website for their NYC restaurant. Simple and straightforward, the website features their menu, location, hours and a detailed press section showing off their achievements. The website is just as appetizing as the high resolution food pics they post in their gallery, if I was in NYC I’d probably stop writing right now and head there for one of their classics. If anyone knows design it’s Andrew Gibbs, packaging production artist. 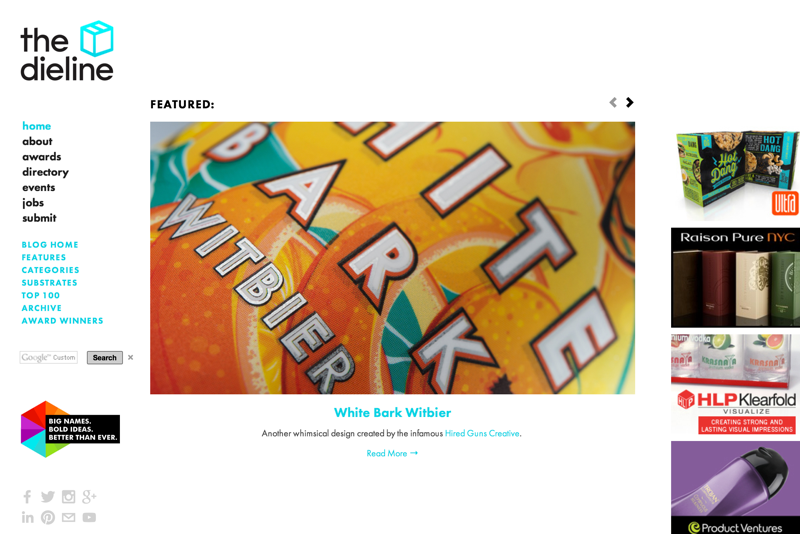 TheDieLine.com is his brain child and it features the world’s most best package designs, all from a beautiful Squarespace website. BigHuman is a well-known product design and development studio based in NYC. They have a simple yet colorful portfolio layout setup which lets them feature their best work right when you land on the homepage. They also use Squarespace in a beautiful way for their blog. 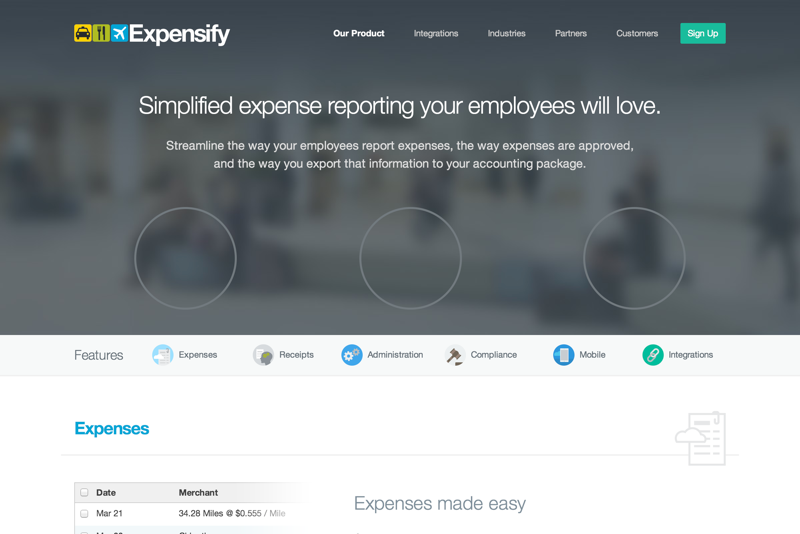 Expensify focuses on simplified expense reporting and they do it in an extremely stylish way. The website’s look and feel is extremely clean and simple even though there’s a ton of information on it. That shows the power of good design, just browsing the site makes me want to learn more about the product. Surprising to see that even a website with lots of content such as this one can look so nice and run so smoothly using Squarespace. Jennifer Maravillas uses Squarespace to showcase her work as an artist and a traveler. The typography used for her logo is one of a kind and how her layout blends in with her work makes this minimalist Squarespace website a home-run in terms of design. Shows what you can do with a bit of creativity. Bigger companies use Squarespace too! 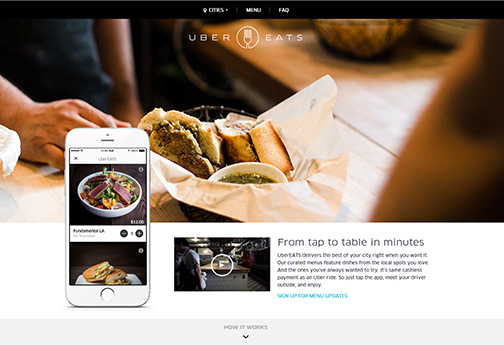 Here’s Uber’s latest project, UberEats, using Squarespace for their app lander. A short & sweet website featuring different background/slider images and a high resolution mockup of the app running on an iPhone. Scroll up and down for cool animation. 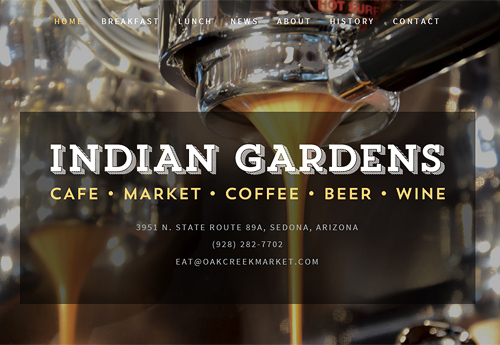 Indian Gardens looks like it’s using the Marquee Squarespace template with some customization. 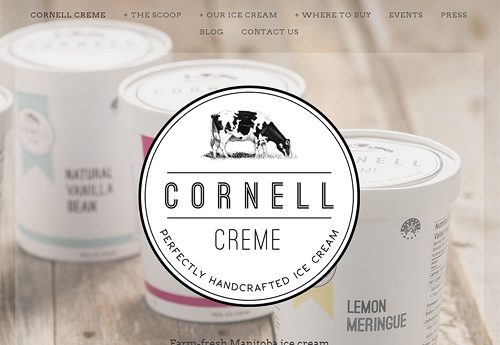 A one-page website with smooth scrolling and a unique color scheme, love how they display their menu right on the homepage. 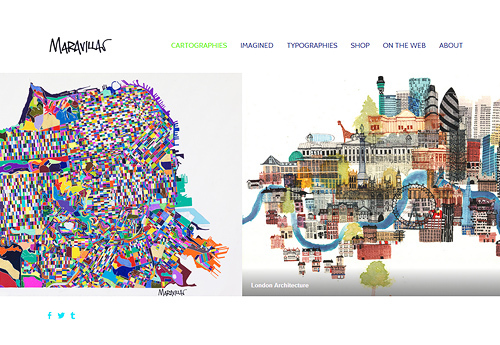 Hope you enjoyed our short feature of 10 of the best Squarespace websites. Let us know which are your favorites in the comment section below. We’ll be posting more about beautiful Squarespace websites and would love to feature yours or your suggestions if they make the cut. Bookmark our small business blog for more similar posts! 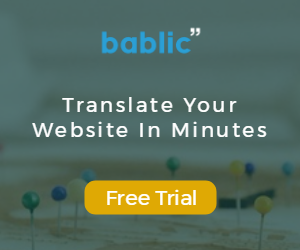 Keep in mind, Bablic is the easiest way to translate your Squarespace website, try it now for free at Bablic.com, don’t forget to check out our Squarespace translation tutorial. My favorite is Indian Gardens. It looks great! However, I think that my website looks great, too! Can you feature my website in one of your blogs? Thank you! Thank you, samsid! I am using WordPress.org. I also downloaded the Divi theme from Elegant Themes. 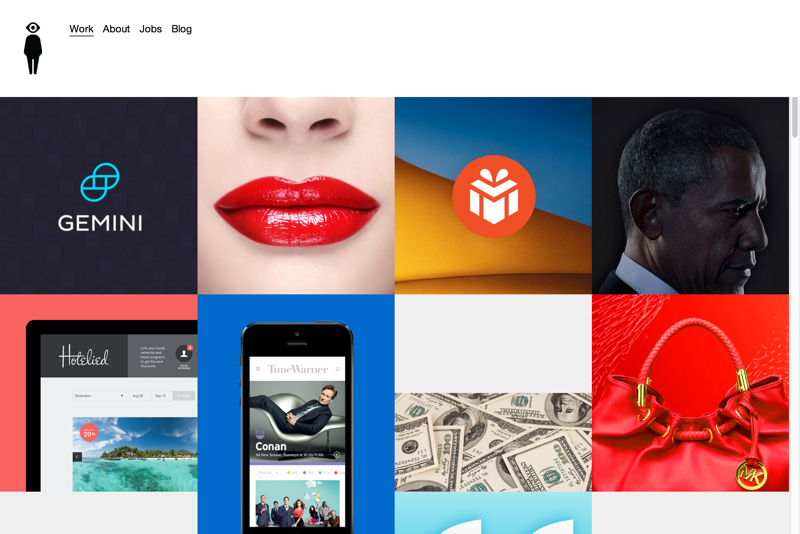 You can view their themes at http://www.elegantthemes.com/gallery/. Thanks for sharing. Expensify is a really nice site… curious to know how they incorporated so much JS. Oh… my site is pretty nice too. I got some great ideas from these! Great collection here for sure. Are people happy with SS from an e-commerce point of view? I’m all set up, but now find out that I can’t actually export my products. Any tips?